El reporte de datos ya está disponible en español. West Contra Costa Kids Can is now available online in Spanish! Overall, students in West Contra Costa public schools are not making progress. Large achievement gaps persist, and we are falling behind compared to students state- and county-wide. 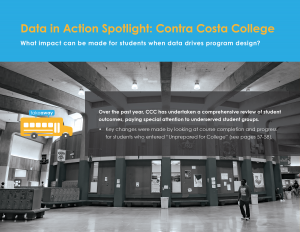 Our second annual student progress report features findings on West Contra Costa students’ Pre-Kindergarten – 12th Grade outcomes, in addition to post-secondary outcomes at Contra Costa Community College. The report focuses on data regarding West Contra Costa Unified School District (WCCUSD), District-authorized charters, and relevant County-authorized charters. Organized based on the cradle-to-career timeline, the report looks at specific moments across our students’ journeys from early childhood through adolescence into adulthood. Many communities use similar frameworks to align efforts among health, social, and employment services to best meet young people’s needs at all stages of development. New data in this year’s report includes average student GPA by high school, school-based health center access, eighth grade math course enrollment, Science, Technology, Engineering, and Math (STEM) course enrollment, and ninth grade course performance. We believe that you, our community, are the most powerful force that can lead and create urgently-needed changes for students. OUR HOPE: We hope this second West Contra Costa Kids Can report supports efforts of families, educators, and community partners like you to advocate for students. We hope the report honors and builds on the impact that so many have already made. OUR RECOMMENDATION: The report reveals that our students and schools are facing a crisis. We recommend that the leaders and decision-makers of West Contra Costa public schools drive all planning, monitoring, and evaluation of programs, interventions, and services for students with strong evidence and data. Almost half (44%) of ninth graders across West Contra Costa received at least one D or F grade last school year. 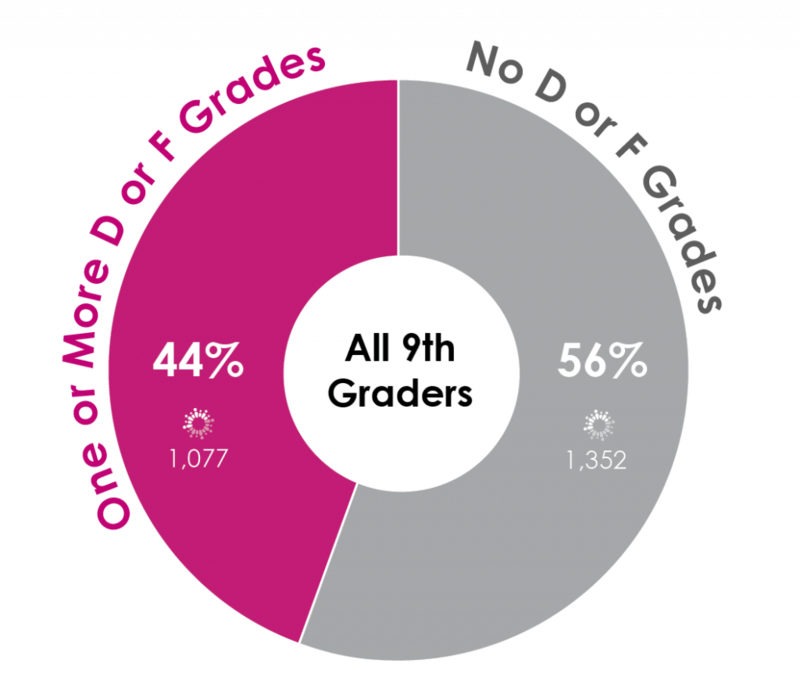 Of the 999 students in district high schools receiving at least one D or F during freshman year, 95% of them received multiple Ds or Fs (between 2 to 12). 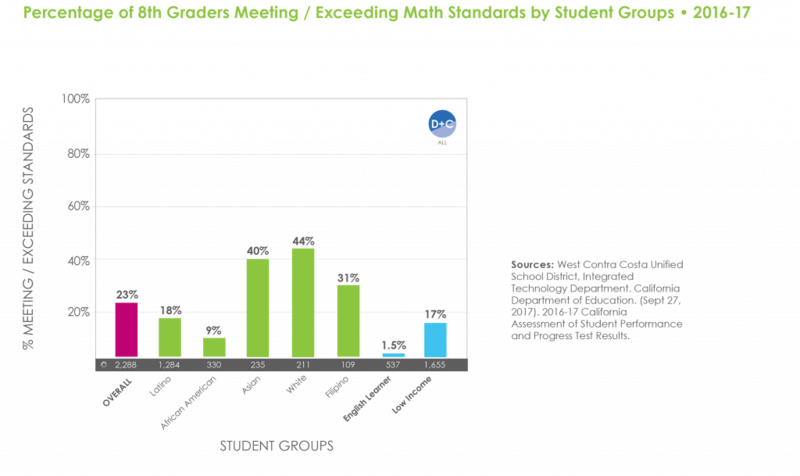 Only eight of the 537 English Learner eighth graders (1.5%) across West Contra Costa is meeting math standards. 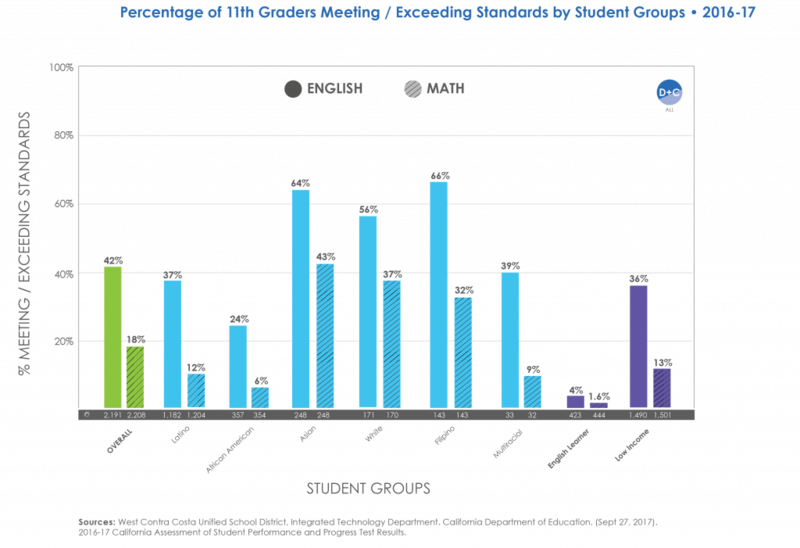 In eleventh grade, just seven English Learner students (1.6%) are. African American, Latino, and low income students are also experiencing big achievement gaps across grades and subjects compared to other student groups and students overall. Data must be one of the driving forces and tools that district leaders, decision-makers, and educators use to provide our students with a high-quality education. Use the links below to share, discuss, and advocate for a public school system where evidence-based decisions about programs and resources improve outcomes for all kids. Help spread the word on social media. Get updates – join our mailing list.